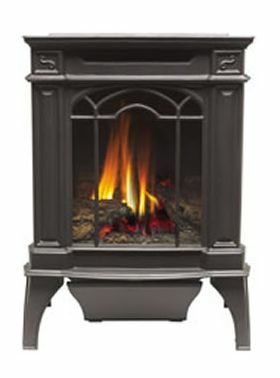 The Napoleon Arlington Gas Stove crafted in cast iron, with its slender, space saving design and 45 Degree venting, is perfect for smaller rooms. The Arlington is available in painted black or a porcelain enamel Majolica brown finishes and comes standard with a MIRRO-FLAME Porcelain Reflective Radiant Panel. 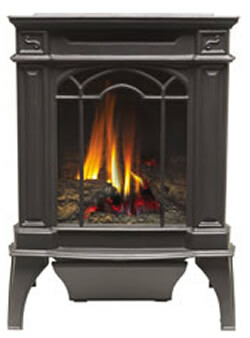 Even though small in size, it holds a large PHAZERAMICburner system, PHAZER log set and brightly glowing ember bed that can be viewed through the European styled ceramic glass viewing area.